Alfred Loeb(Abby) Wolf, a founding member of Vertical Flight Foundation and past general counsel for the American Helicopter Society, died May 29, 1985 at the University of Pennsylvania Hospital. He was 80 years old. A native of Atlantic City, N.J. , Wolf was a retired Air Force general and a senior partner in the Philadelphia law firm of Wolf, Block, Schorr and Solis-Cohen. His love for aviation (he soloed and received his license in 1929) led him to specialize in aviation law where he is credited with much of the industry's regulatory law. According to a story about Wolf in The Philadelphia Inquirer the ay after his death, his desire to combine law and aviation led him to become chairman of the Pennsylvania Bar Association's committee on aviation law. Later, "he served as national counsel for the Airplane Mechanics Schools of America.... Philadelphia's director of aviation and a Civil Aeronautics Board examiner." His love for aviation led him, and four other pilots, to form the Aircraft Owners and Pilots Association (AOPA) in 1938. 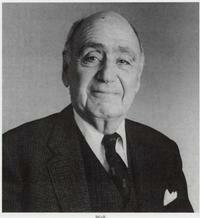 Until his death, Wolf served as secretary, a member of the board of trustees and general counsel. In addition, he authored a column for the AOPA magazine entitled: Legally Speaking Today, the AOPA has 22,000 members; Wolf received the fifth card issued by the group. As the main force behind the organization of the Vertical Flight Foundation in 1967, Wolf remained on the organization's board as an outside trustee. Perhaps his greatest contribution to the vertical flight industry occurred in 1971 when he discovered an 1863 publication by Viscount d'Amecourt describing a patent for a helicopter. He translated the manuscript to English and in 1974-75 authored a two-part series for VERTIFLITE entitled: "The Vision of Viscount d'Amecourt." After the attack on Pearl Harbor, Wolf enlisted in the Army Air Corps as a private. He was sent to Plaines des Gaiacs on New Caledonia where he was responsible for overseeing the delivery of aircraft from the factory to combat. His command delivered over 6,000 planes with a loss rate of less than one percent. After seeing duty during the Korean War, Wolf was vice commander of Andrews Air Force Base and then McGuire Air Force Base. He remained in the Air Force Reserve until his retirement in 1964 as brigadier general. He was qualified to fly every type of aircraft, from multi-Mach fighters to giant transports, helicopters and seaplanes. He was licensed to fly in most countries, including the United Kingdom, Sweden, France, Austria and South Africa. He remained active in the aviation field until his death and had made plans to attend the American Helicopter Society's 41st Annual Forum in Fort Worth. At the time of his death, his license was current and he continued to fly his Cessna 170 from a small grass landing strip that bordered his property near Wings Field in Blue Bell, Pa.